A new re-recorded version of the song was released 2 years later for the deluxe editions of Hardwired... to Self-Destruct. It is a minute shorter in length and has improved production over the original single. On November 17, 2016 the band released the official music video on their website and YouTube page along with music videos for the 12 tracks of the standard edition on the 16th and 17th of November. 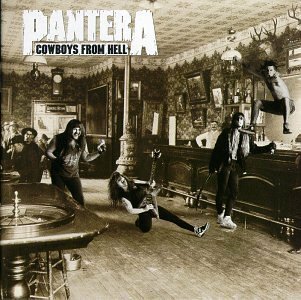 Cowboys from Hell is the fifth studio album and major label debut by American heavy metal band Pantera, released on July 24, 1990 by Atco Records. 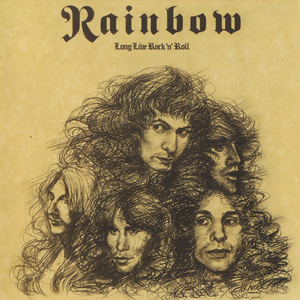 Long Live Rock 'n' Roll is the third studio album released by the British hard rock band Rainbow, released in 1978, and the last to feature original lead vocalist Ronnie James Dio. Sweet Savage are a heavy metal band from Belfast, Northern Ireland, formed in 1979. The band once included former Dio and Def Leppard guitarist Vivian Campbell. Since forming in 1979, Sweet Savage have released three studio albums, three singles and one demo. The Dethalbum is the debut album by virtual band Dethklok, from American animated sitcom Metalocalypse. It was released on September 25, 2007. The album features full length songs from the TV series, as well as previously unreleased tracks. Antonio Canobbio contributed the artwork for the record. 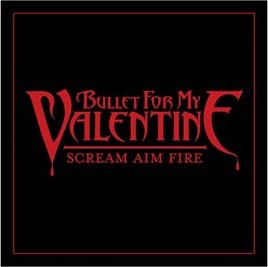 "Scream Aim Fire" is a song by Welsh heavy metal band Bullet for My Valentine. The first single from their second album, Scream Aim Fire, the song was released on the American iTunes store on 18 December 2007, and has also been released on the band's MySpace profile. Featured in the video games Guitar Hero World Tour and non-US versions of Guitar Hero Modern Hits, it is the band's highest charting single worldwide. It is also available as downloadable content in the video game Rock Band 3. A live version of the song recorded at BBC Radio 1's Live Lounge show was included as a bonus track on deluxe editions of the band's 4th studio album Temper Temper. "Harmony Korine" is a song by English musician, songwriter and music producer Steven Wilson. The song is the first track off of Insurgentes, Wilson's first full-length solo studio album. The single is named after the American filmmaker of the same name. "Soul Destruction" is a song by British band T'Pau, released as the third single from their 1991 third studio album The Promise. The song was written by vocalist Carol Decker and rhythm guitarist Ron Rogers. It was produced by Andy Richards. Kings of Suburbia is the fifth studio album by German band Tokio Hotel. It was released by Island Records on October 3, 2014 in Germany and October 6 worldwide. Unlike their previous work which was released in both German and English, Kings of Suburbia was only released in English. The album is available at retail and online stores. There are four versions available at retail stores and Amazon.com [standard edition, deluxe edition, vinyl deluxe edition and limited super deluxe edition ]. There is only deluxe edition available at iTunes and Google Play Music which comes with a bonus video of an interview with the band. ↑ "Metallica Share Studio Recording of 'Lords of Summer'". ↑ "METALLICA To Drop "Lords Of Summer" Vinyl On Black Friday - Metal Injection". 26 September 2014. ↑ "Metallica - Lords Of Summer". 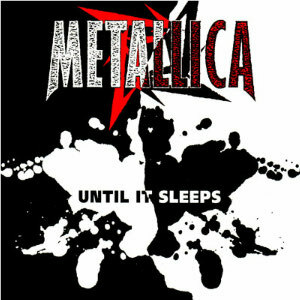 ↑ "Lords of Summer - Metallica".